A diverse assortment of California grown fruits, vegetables and flowers along with tasty local artisan foods. 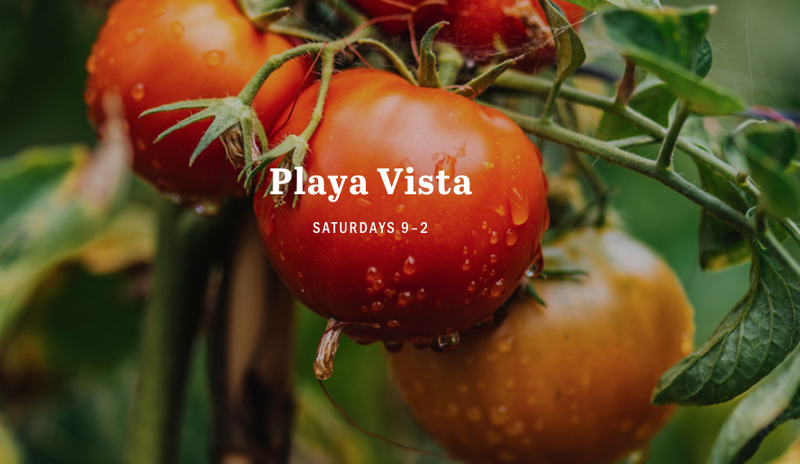 Our original market, the Playa Vista Farmers Market was started in 2009 with a vision to create a better "farmer first" market. We were recently honored to be named one of the three Best of the Westside farmers markets by Argonaut News!